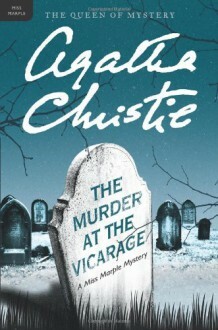 The first Miss Marple mystery, one which tests all her powers of observation and deduction. “Anyone who murdered Colonel Protheroe,” declared the parson, brandishing a carving knife above a joint of roast beef, “would be doing the world at large a favor!” It was a careless remark for a man of the cloth. And one which was to come back and haunt the clergyman just a few hours later—when the Colonel is found shot dead in the clergyman’s study. But as Miss Marple soon discovers, the whole village seems to have had a motive to kill Colonel Protheroe. I enjoyed this a lot! And my success at sussing out the murderer while reading Crooked House apparently was just dumb luck, because once again I was completely fooled as to who the murderer was.